I am a big fan of traditions. Not just of big holiday traditions like serving turkey at Thanksgiving (along with cornbread dressing and scalloped oysters and homemade rolls and a little cranberry sauce to cut the carbohydrates), hiding Easter baskets for my kids, and crafting handmade Valentines for my darlings on Valentine’s Day. I also love having traditions for ordinary occasions: hanging begonias on the front porch each spring (because they grow best in filtered sunlight), wearing the delicate white and silver enamel bracelet that belonged to my grandmother at least twice a summer, taking my son to lunch each Friday during the school year when he has a half day. 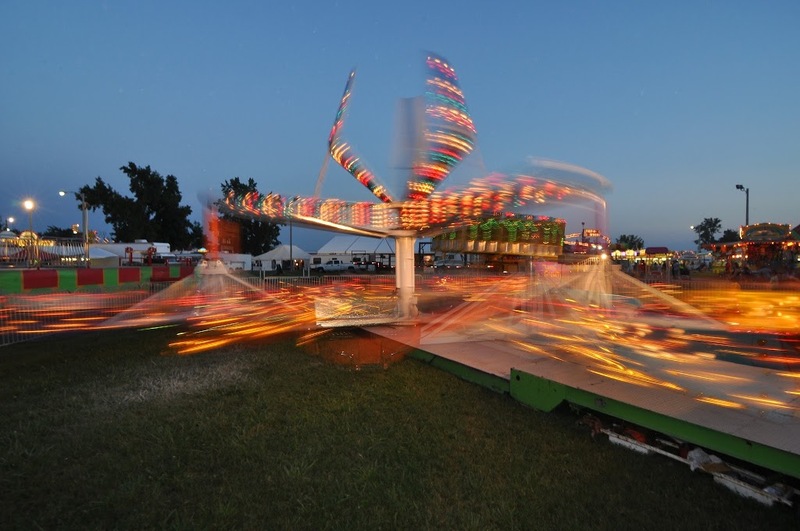 I grew up in the south and midwest where fairs were–and still are–a big deal. 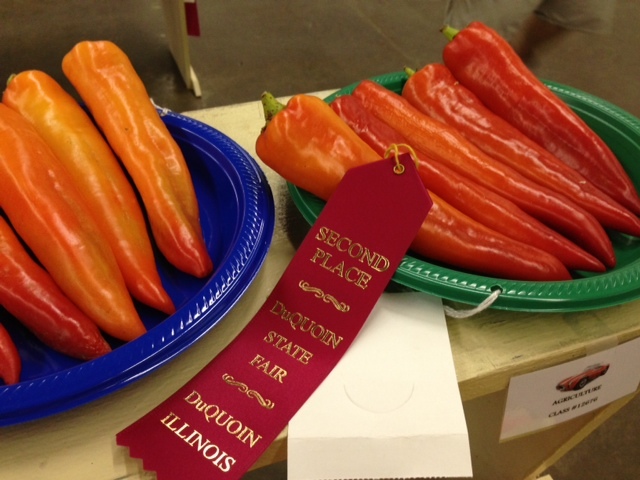 I hate to let a harvest season go by without hieing myself (and dragging my family) to at least one agricultural fair. It’s not that I’ve ever grown anything worth a squirt, except for flowers and a few summer tomatoes. I make a decent pie, but am clueless at canning. And the idea of growing livestock…let’s just say that I leave that to the professionals and talented amateurs. 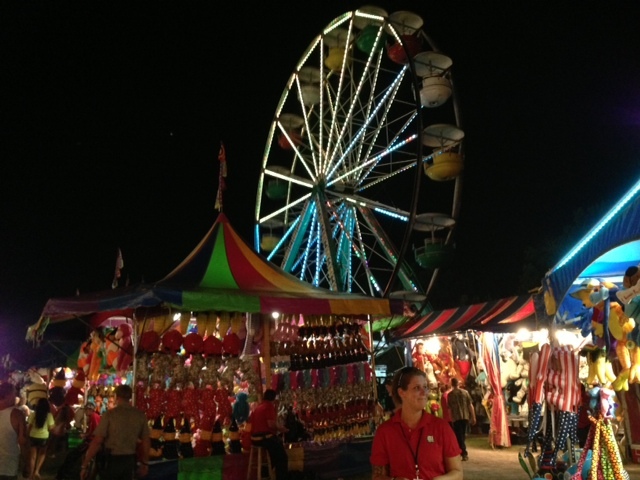 But I admire everything about a fair. I admire the dedication of the people who grow our food, and the crafters and quilters who practice their arts and are brave enough to have their efforts judged by their peers. 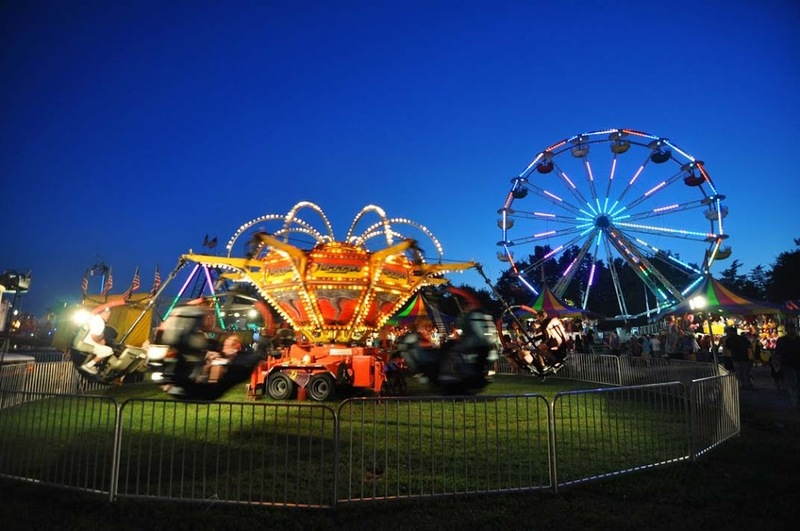 I even admire the people who pack themselves into trucks and r.v.s every summer and fall and man the game booths, put up the rides, and come up with things like fried lemonade and a wide variety of foods that can be served on a stick. Here at the Handbasket, I have blogs from 2008 and 2012 about the fair, with more pictures. 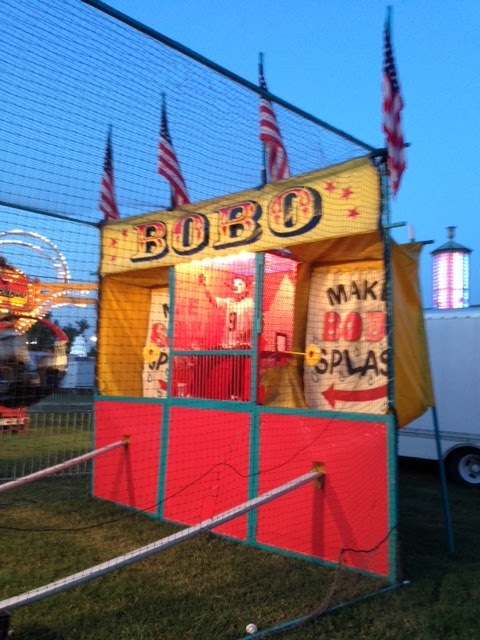 Last year I even went to the sideshow and volunteered to get myself sawed in half. It was harrowing, quite uncomfortable and all kinds of crazy fun. Oh! 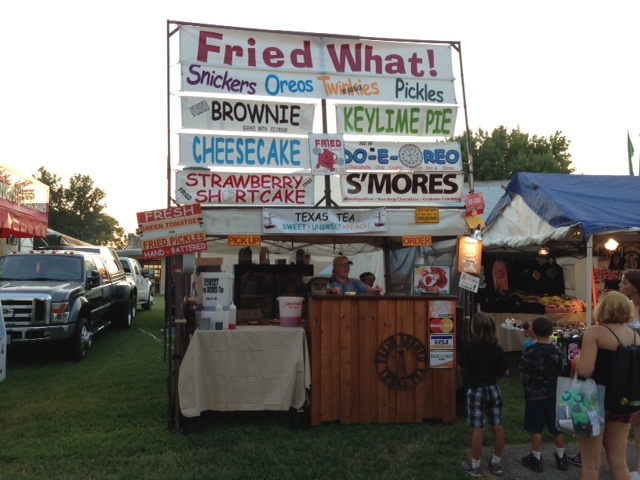 And I also did a piece on fair food over at Life In A Skillet last year, with tons of photos. Tell me about your traditions–big or small. What’s the one you’re looking most forward to, right this very minute? 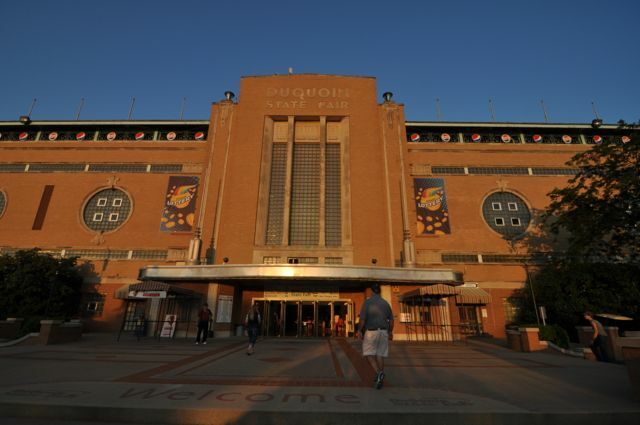 We love the Illinois Food & Wine Expo at the Fair. It’s a Labor Day Weekend tradition. It’s also the kick off of fall wine tastings. We love it!